The city of Clearwater is located in Pinellas County, and is the County Seat of Pinellas County. Clearwater, like many Tampa Bay cities, has a subtropical humid climate. Clearwater residents enjoy plenty of Florida sunshine, and very few cool days. Residents and visitors to Clearwater, love year-round sunning and swimming, along with other outdoor activities. We can’t think of a better way to cool off, then a dip in your own pool after exercising on the nearby Pinellas Trails, which is part of the Rails to Trails system. 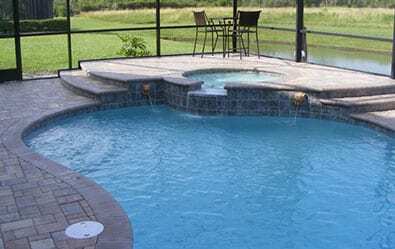 If you are ready to build a custom pool in Clearwater, you’ll be happy to know that Challenger Pools services the city of Clearwater, Florida. 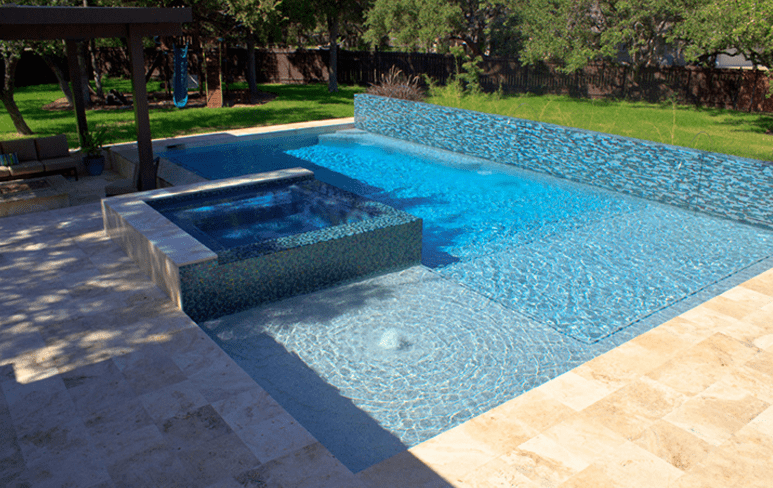 Challenger Pools can provide you with a custom pool design that incorporates your homes aesthetic. 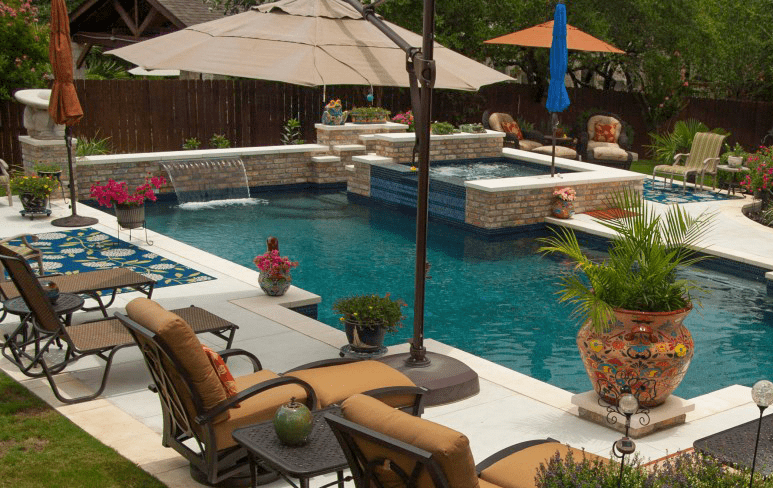 We can design a backyard oasis your family will treasure for years to come. When it comes to custom pools, nothing beats a Challenger pool. With everyone busy, adding a pool to your Clearwater home can provide endless family entertainment. Reconnect with your family and refresh after a long weekday, or spend the weekend at home creating treasured family memories. Think of your new pool as your own private spa and resort. Challenger pools are beautiful to look at. 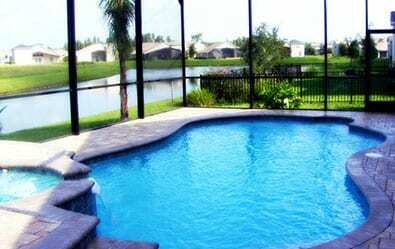 We custom design each pool to beautify your home and add value to your Clearwater home. Challenger Pools has built over 8,000 swimming pools in Tampa Bay neighborhoods, including Clearwater. 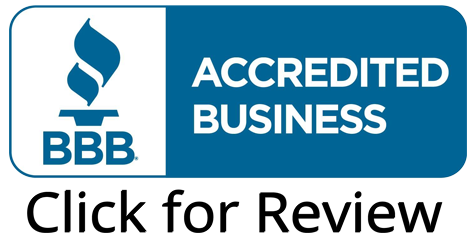 We are always happy to provide references to help you make your final decision before hiring a swimming pool contractor. 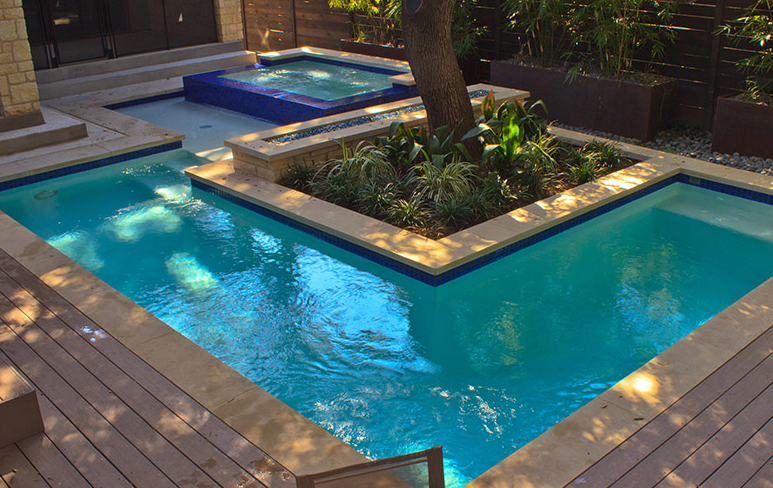 The first step is scheduling a no-obligation consultation to discuss your swimming pool construction. We are happy to offer evening and weekend appointments in Clearwater.